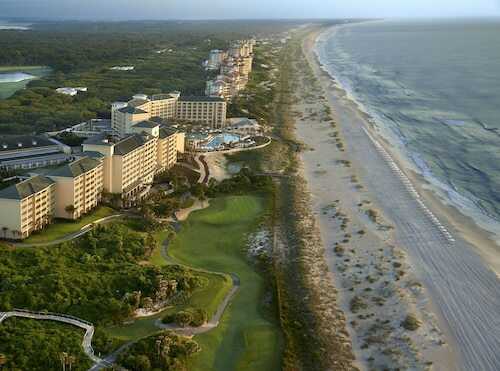 One Ocean Resort & Spa is 33 miles from St. Augustine, 16 miles from downtown Jacksonville, and 9 miles from TPC Sawgrass. 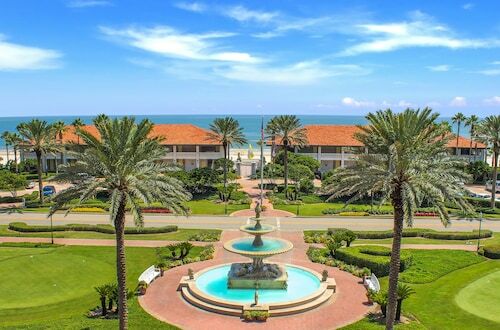 Located on a sparkling stretch of the Atlantic coastline in the fashionable seaside village of Ponte Vedra Beach, this elegant, 300-acre resort and spa is 18 miles from downtown Jacksonville. 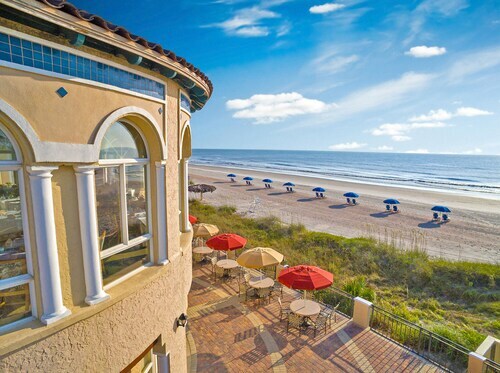 Located in Fernandina Beach, this beachfront resort is connected to the convention center and within a 10-minute walk of American Beach and Plantation Artists' Guild & Gallery. Palmetto Walk Shopping Village is 2.6 mi (4.2 km) away. 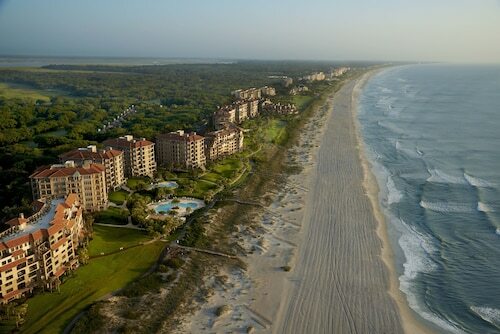 Within 25 miles of St. Augustine and Jacksonville, the Lodge and Club at Ponte Vedra Beach is a 5-minute drive from TPC Sawgrass and Sawgrass Village shops and dining. Mayo Clinic is 4 miles away. 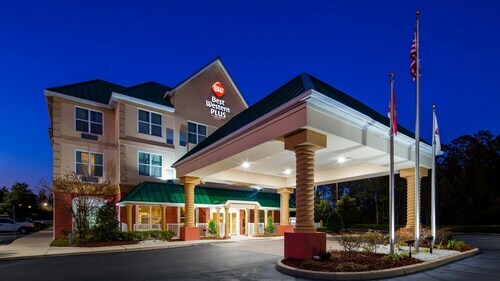 Situated near the airport, this hotel is within 6 mi (10 km) of Florida State College - South Campus, University of North Florida, and Timucuan Ecological & Historical Preserve. Regency Square and Theodore Roosevelt Area are also within 6 mi (10 km). 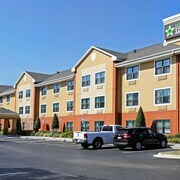 This hotel in the Southpoint Corporate Park is just off I-95 and Butler Blvd, 6 miles from downtown and 10 miles from ocean beaches. 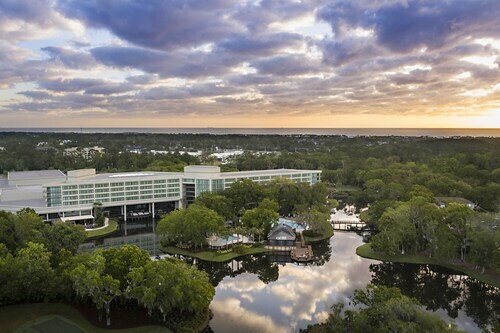 Situated in Jacksonville, this hotel is within 3 mi (5 km) of Windsor Parke Golf Club, Mayo Clinic Florida, and Adventure Landing. University of North Florida and Florida State College - South Campus are also within 6 mi (10 km). This Florida hotel, home to THE PLAYERS Stadium course at TPC Sawgrass, is 1 mile from Ponte Vedra Beach and 25 miles from St Augustine. 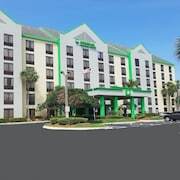 Set on a barrier island off the northeast coast of Florida, this hotel is between Atlantic beach and the Golf Club of Amelia Island, 30 miles from Jacksonville airport. 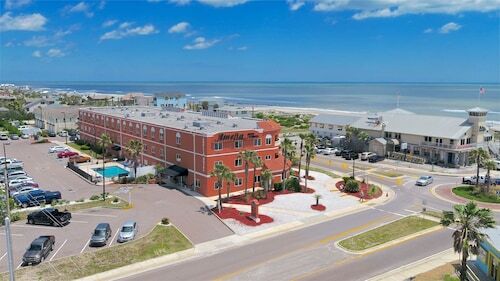 Nestled on the beach, this Jacksonville Beach hotel is 0.7 mi (1.1 km) from Jacksonville Beach Pier and 2.4 mi (3.8 km) from Adventure Landing. J. Johnson Gallery and Beaches Museum & History Park are also within 1 mi (2 km). 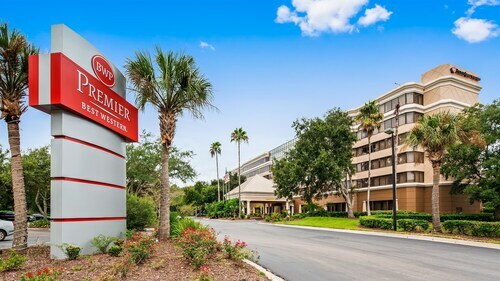 Located in Southpoint, this hotel is within 6 mi (10 km) of Saint Vincent's Medical Center Southside, St. Johns Town Center, and Memorial Hospital Jacksonville. Dog Wood Park of Jacksonville and Crabtree Park are also within 6 mi (10 km). 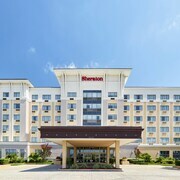 Situated on the Strip, this hotel is 2.8 mi (4.4 km) from Timucuan Ecological & Historical Preserve and within 9 mi (15 km) of Pecan Park Flea and Farmers' Market and The Golf Club at North Hampton. River City Market Place and Island Falls Golf are also within 12 mi (20 km). Are you looking for a break from the hustle and bustle of your day-to-day life? Do you want to escape reality and forget about your never ending to-do list? 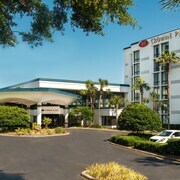 Then why not treat yourself to a relaxing stay at one of the spa hotels in Jacksonville? 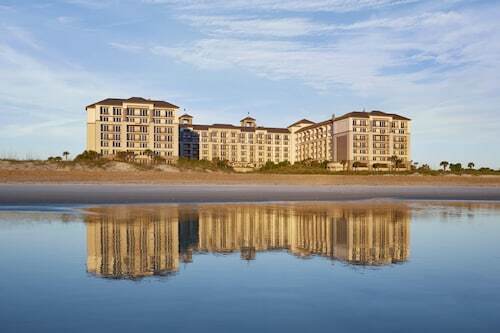 Whether it is for a weekend getaway or a staycation, book your visit to one of the Jacksonville luxury spa hotels. 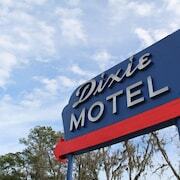 With all of the amazing things to do around Jacksonville, you will likely be worn out from sightseeing. 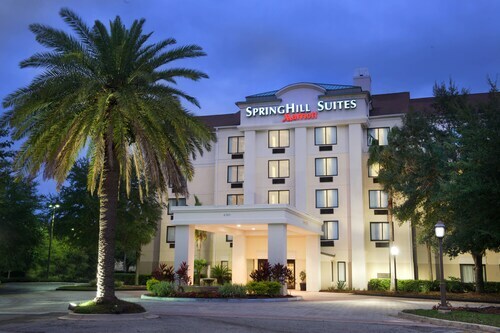 The Jacksonville spa hotels provide top of the line facilities with hot-tubs, saunas and private treatment rooms. Treat yourself to an indulgent hot stone massage or facial to rejuvenate from a busy day. If that's not enough for you, indulge in a full day-at-the-spa package. And maybe you are just looking to reach maximum relaxation before a fancy night out on the town. Take advantage of the salon features offered at most Jacksonville spa hotels and get a mani-pedi before your evening begins. Travelocity wants to help you relax and rejuvenate during your next stay in Jacksonville, but we know that spa treatments can put some strain on your wallet. Bundle your hotel and flight together and save enough to pay for your facial! Everything was excellent from check-in to check-out and everything in between. The staff was outstanding and very attentive! The room was great! Really the only issue i had was that im 6'2" and have had 4 back surgeries and the toilet in the room was very low to the floor. I did not request an ADA rated room so im not going to count off for that. The entire stay was Amazing! I like this hotel very much. Clean, friendly, close to the beach. I go to this hotel every year. I always request the first floor. Mostly because we have a kiddo that’s nervous about the elevators. I called ahead and spoke to the front desk but when I arrived they had not honored my request. Guess you have Togo more that a week a year to be appreciated. We spent the weekend here and really enjoyed our stay despite the lousy weather. I got two king suites since and both rooms were awesome. Since we met up with family it was nice to have a couch to chill and visit with them. 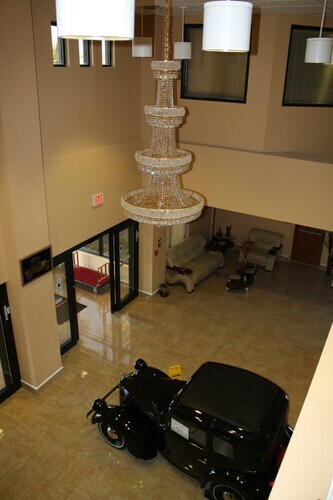 Staff was very friendly and very helpful. It is very close to tons of stores and restaurants. Great location. It was advertised on your website free breakfast. They do not serve breakfast at all, free or otherwise. You need to remove this from your advertisement. Location was great. Building is older but fairly well maintained. I really enjoyed the sliding glass door, leading to a small balcony. I left it open all night and enjoyed a great breeze. Disappointed in not having breakfast included, but it wasn't listed and I didn't notice when booking.